Sharing my knowledge and expertise on the subject of organization, to interested groups and individuals, is a rewarding aspect of my business. Below is a list of groups and organizations for which I have given organizing presentations. This is a list of venues at which I have taught organizing classes. 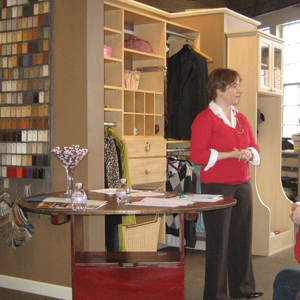 Is your group or organization interested in booking a presentation at a monthly meeting or event?